The 12th annual tournament took place on Saturday, August 5 at Crystal City’s Long Bridge Park in Arlington, Virginia. Our team hit the fields at 8:30 am for the opening ceremony, followed by game play beginning at 9:00 am. 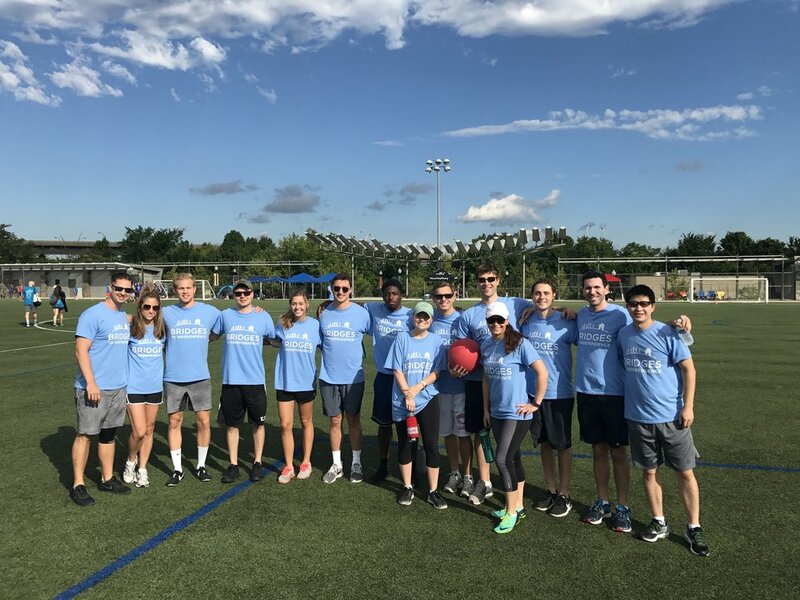 Competing against teams fielded by Paradigm, E-Trade, and many others, the CRC CARES team ultimately played several hours of kickball, ultimately losing in the semi-finals. This is the third year CRC CARES has participated in the event, and the new b2i headquarters will be located in a retail bay at CRC’s newest project, Ten at Clarendon.